The year that was 2016, was nothing if not surprising. Even in the jewelry realm there were several moments that caught me completely off guard. 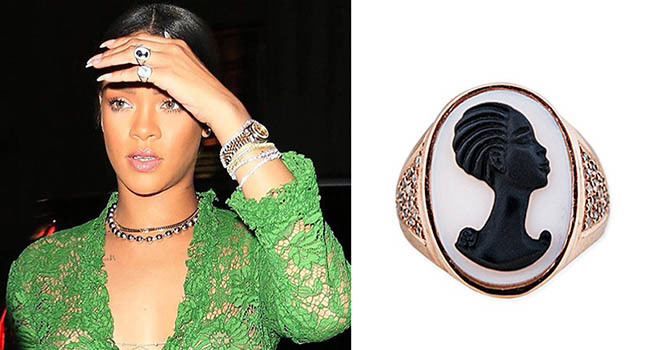 Here are the 7 most surprising jewelry stories of the year. The Duchess of Cambridge may be married to the future King of England but she doesn’t often take advantage of all the jewelry opportunities that position affords. Yet, during the royal couple’s visit to Canada the Duchess gave jewel lovers something to behold. 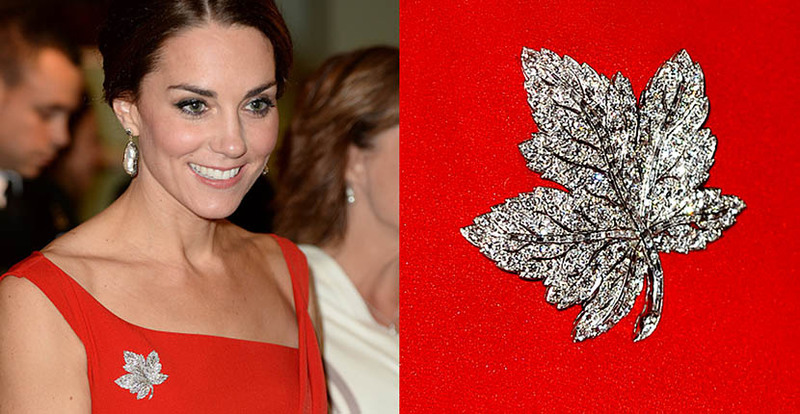 On September 26, she put on the Queen Mother’s diamond Maple Leaf brooch which was nice but not really a surprise. What was borderline shocking to this jewelry journalist was the way she paired the piece with $100 pearl earrings. Read more…. Sci-Fi movies are not really known for jewelry. Of course there was the brilliant moment in the final scene of Star Wars: A New Hope when Princess Leia (the late great Carrie Fisher) was turned out as true space royalty in the Planetoid Valleys necklace by Finnish designer Björn Weckström, but besides that there isn’t much. Well, this year the two big sci-fi movies, Star Trek and Rogue One: A Star Wars Story, had jewels. 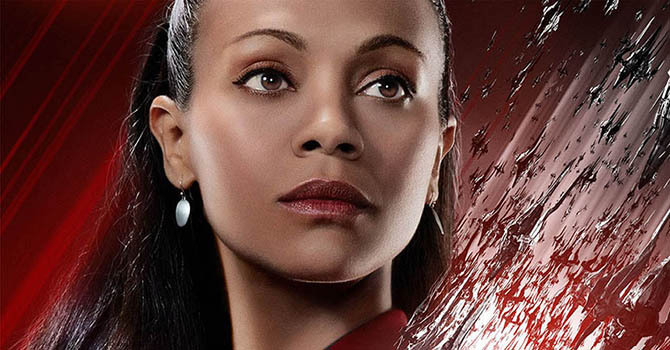 I interviewed the prop master of Star Trek about the creation of Uhura’s Vulcan necklace. Read about it, as well as the Ted Muehling earrings that appeared in the movie, here…. There is a lot of Star Wars mythology in the Kyber Crystal necklace worn by Jyn in Rogue One. Read all about it here…. The important jewels don’t show up on the red carpet every day. They are usually reserved for the important events of Award Season. Well, this year the stars turned on the shine early wearing important pieces from Piaget, Cartier and Chopard for the premieres of films that are expected to be the front runners in the Oscar race. Read more about Jessica Chastain, Amy Adams and Emma Stone here. Read more about Marion Cotillard here. 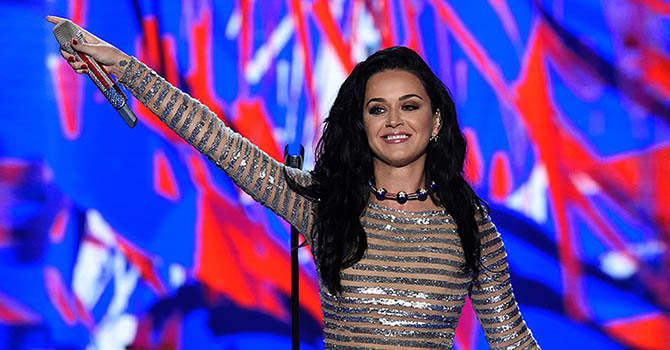 When Katy Perry took the stage at the Democratic National Convention in Philadelphia before Hilary Clinton’s historic speech, she told the audience how she had been on the trail with the Presidential candidate since the beginning of the campaign in Iowa. Perry said she had a closet full of “Hilary themed dresses.” Well, clearly she saved her best look for last. Katy Perry belted out a couple of her hit songs for the delegates wearing a sequined gown from Michael Kors accessorized by one of the greatest American patriotic jewelry designs ever created. Read more..